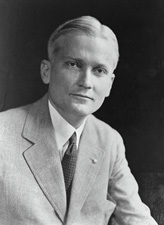 Hiram Bingham III, born in Honolulu, Hawaii, served as governor of Connecticut and as a United States senator. Hiram Bingham, formally Hiram Bingham III (November 19, 1875 – June 6, 1956), was an American archaeologist, explorer, scholar, and politician. He rediscovered the Inca settlement of Machu Picchu in 1911, and his book Lost City of the Incas became a bestseller. Later, Bingham served as governor of Connecticut and a member of the United States Senate (1924–1933). Over the course of his life of 80 years, Bingham not only achieved personal success, but served his country in the military and in politics. He also contributed to human society as a whole through his work in opening the magnificent city of Machu Picchu to the world. Hiram Bingham was born in Honolulu, Hawaii, to Hiram Bingham II (1831–1908), an early Protestant missionary to the Kingdom of Hawaii, the grandson of Hiram Bingham I (1789–1869), another missionary. He attended Punahou School and Oahu College in Hawaii from 1882 to 1892. He completed his education at Phillips Academy in Andover, Massachusetts, from which he graduated in 1894. Bingham obtained a degree from Yale University in 1898, a degree from the University of California, Berkeley in 1900, and a degree from Harvard University in 1905. He was a member of Acacia Fraternity. He taught history and politics at Harvard and then served as preceptor under Woodrow Wilson at Princeton University. In 1907, Yale University appointed Bingham as a lecturer in South American history. He married Alfreda Mitchell, granddaughter of Charles L. Tiffany, on November 20, 1899, and had seven sons, including Woodbridge (1901–1986), a professor; Hiram Bingham IV (1903–1988), a diplomat; Alfred Mitchell Bingham (1905–1998), a lawyer; Charles Tiffany (1906–1993), a physician; Brewster (1908–1995), a minister; Mitchell (1910–1994), an artist; and Jonathan Brewster Bingham (1914–1986), a congressman. After he and Alfreda were divorced, he married Suzanne Carroll Hill in June 1937. During World War I, Bingham served in the military. He achieved the rank of captain of the Connecticut National Guard in 1916. In 1917, he became an aviator and organized the United States Schools of Military Aeronautics. He served the Aviation Section of the United States Army Signal Corps and attained the rank of lieutenant colonel. In Issoudun, France, Bingham commanded a flying school. Bingham also entered politics, serving as governor in Connecticut and as a member of the United States Senate. On June 6, 1956, Bingham died at his Washington, D.C. home. He was interred at Arlington National Cemetery in Arlington, Virginia. It was during Bingham's time as a lecturer—later professor—at Yale that he rediscovered the largely forgotten Inca city of Machu Picchu. In 1908, he had served as delegate to the First Pan American Scientific Congress at Santiago, Chile. On his way home via Peru, a local prefect convinced him to visit the pre-Columbian city of Choqquequirau. Bingham was thrilled by the prospect of unexplored Incan cities, and in 1911 returned to the Andes with the Yale Peruvian Expedition of 1911. The city of Machu Picchu, once the royal estate of a powerful Inca emperor, lay hidden in the mountains of Peru until 1911, when Bingham introduced to the world its ruins. On July 24, 1911, a mestizo guide led Bingham to Machu Picchu, which had been largely forgotten by everybody except the small number of people living in the immediate valley, and the young explorer had found his "lost city." I know of no place in the world which can compare with it. Not only has it great snow peaks looming above the clouds more than two miles overhead, gigantic precipices of many-colored granite rising sheer for thousands of feet above the foaming, glistening, roaring rapids; it has also, in striking contrast, orchids and tree ferns, the delectable beauty of luxurious vegetation, and the mysterious witchery of the jungle. Some of the narrow bridges spanning the precipices of mount Machu Picchu, located about 2,350 meters above sea level, needed to be forged on hands and knees. Since then, it has become perhaps the most important archaeological site in the Americas. Machu Picchu has also become one of the major tourist attractions in South America, and Bingham is recognized as the man who brought the site to world attention, although many others contributed to the archaeological resurrection of the site. Bingham's book, Lost City of the Incas, became a bestseller upon its publication in 1948. The switchback-filled road that carries tourist buses to the site from the Urubamba River is called the Hiram Bingham Highway. In 1922, Bingham was elected lieutenant governor of Connecticut, an office he held until 1924. In November 1924, he was elected governor. However, on December 16, 1924, Bingham was also elected as a United States Republican Party to serve in the United States Senate to fill a vacancy created by the suicide of Frank Bosworth Brandegee.. Now both governor-elect and senator-elect, Bingham served as governor for one day, the shortest term of any Connecticut governor. Bingham was appointed by President Calvin Coolidge to the President's Aircraft Board during his first term in the Senate; the press quickly dubbed the ex-explorer "The Flying Senator." Bingham was reelected to a full six-year term in the Senate in 1926. As senator, Bingham served as chairman of the Committee on Printing and then chairman of the Committee on Territories and Insular Possessions. In 1929, Bingham was censured by the Senate on charges that he had placed a lobbyist on his payroll. Bingham failed in his second reelection effort in the wake of the 1932 Democratic landslide following the Great Depression and left the Senate at the end of his second term in 1933. During World War II, Bingham lectured at several United States Navy training schools. In 1951, Bingham was appointed chairman of the Civil Service Commission Loyalty Review Board, whose purpose was to guarantee that the civil rights of all employees of the government shall be protected properly and adequately. Bingham kept this assignment through 1953. When Hiram Bingham died in 1956, it was said that the Connecticut Republican "had crammed many careers into his lifetime, any one of which might have sufficed for most men." 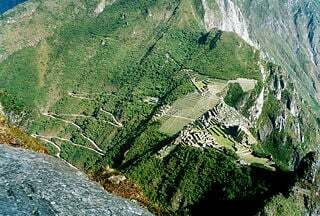 Having uncovered one of the greatest archaeological finds, Machu Picchu, Hiram Bingham became an American hero. For hundreds of years, Machu Picchu (which means "Old Mountain" in the local Quechua language) had sat undisturbed high in the Andes, hidden beneath moss and tangled vines. Bingham's discoveries are recorded in more than a dozen books he authored relating to South American geography and history. Many have attempted to develop the site. Some have searched for the water source for Machu Picchu's elaborate fountains. Tourists can make the trek by bus to visit the ruins. The museum at Yale University contains an extensive display of the work that was part of Bingham's research. The "Mystery of the Incas," the largest exhibition on the Incas ever assembled in the United States, opened at the Peabody Museum on January 26, 2003. Drawing on the latest technology, visitors travel into the past, first to Machu Picchu with Hiram Bingham and the 1911 Yale Peruvian Scientific Expedition. Central to the exhibition are some of the finest surviving examples of Inca art, many of them recovered from Machu Picchu, including over 400 gold, silver, ceramic, bone, and textile artifacts, along with photographs and other memorabilia. These materials are used as a springboard for a discussion of archaeological science and the way in which knowledge of relevant aspects of ecology, astronomy, metallurgy, and other scientific subjects have proved to be critical in understanding the purpose of Machu Picchu and why it was abandoned. Bingham's children continued his life of public service to the United States, with sons serving in congress, as a diplomat, lawyer, physician, and other professions. ↑ Jeff L. Brown, Rediscovering the Lost City, Civil Engineering Magazine, 2001. Retrieved April 13, 2007. ↑ Louis H. Albert, Hiram Bingham, The Institute for Idiotic Pursuits, February 26, 2003. Retrieved April 13, 2007. ↑ 3.0 3.1 Lost City of the Incas United States Senate. Retrieved April 13, 2007. ↑ Brandegee, Frank Bosworth (1864–1924), Biographical Directory of the United States Congress. Retrieved April 13, 2007. ↑ Bingham, Hiram (1875–1956), Biographical Directory of United States Congress. Retrieved April 13, 2007. ↑ Harry S. Truman, Statement by the President on the Government’s Employee Loyalty Program, November 14, 1947. Retrieved April 13, 2007. ↑ Gene Sloan, The trail less trampled on,. USA Today, September 22, 2005. Retrieved April 13, 2007. ↑ Major Exhibition on Machu Picchu Opens January 26 at Yale Peabody Museum, YALE News Release, January 15, 2003. Retrieved April 13, 2007. ↑ Char Miller, Fathers and Sons: The Bingham Family and the American Mission (Temple University Press, 1982, ISBN 0877222487). Inca Land, by Hiram Bingham. Selection from Bingham's The Lost City of the Incas. Works by Hiram Bingham. Project Gutenberg. This page was last modified on 9 January 2018, at 15:56.